The hum of tires on tarmac, the wind in your hair, two brave wheels and the horizon – Boneshaker Magazine #16 is out! 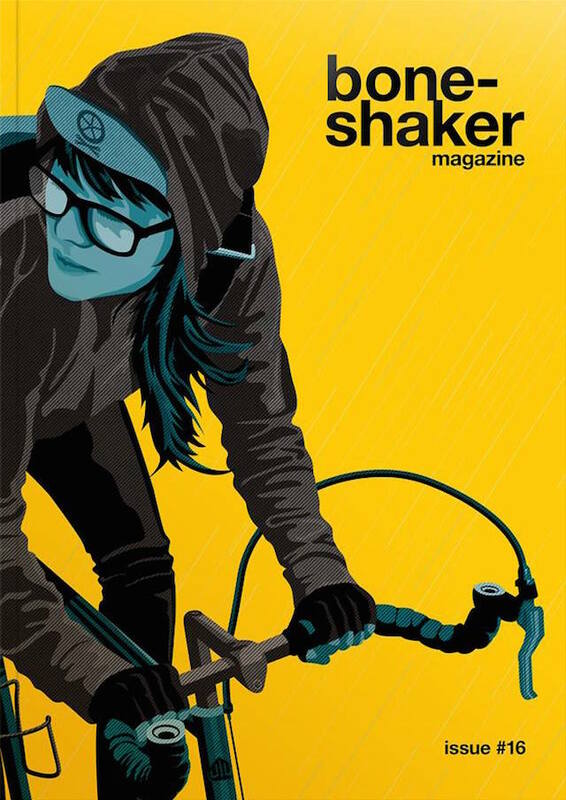 Boneshaker is a perfect-bound, advertisement-free quarterly publication celebrating bicycles and the people who ride them. From all around the world, we gather stories, photographs and illustrations exploring the wonderful things that happen when people and bikes come together. From wild alleycats to weird wanderlust, we’re about freedom, friendship and adventure – the human side of cycling. Whilst we love a beautiful bicycle as much as anyone, Boneshaker’s more about what bicycles can do than what they look like. No training tips, race diets or adverts. It’s not how much your bike weighs that matters, but where it takes you. It’s not how fast you got there, but what you saw on the way.